Please share online, by email and/or in person with family, friends, neighbors and coworkers. It is in jpg and pdf. 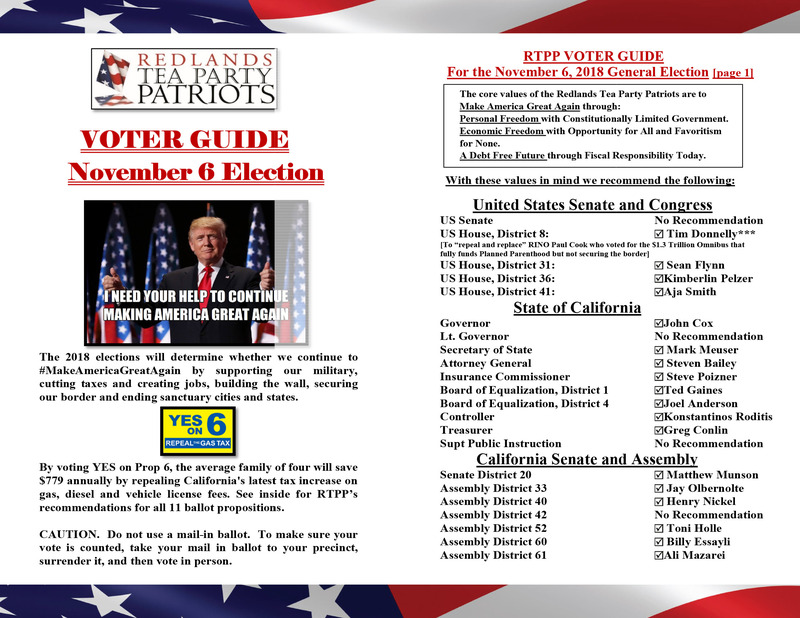 Here is our Voter Guide in pdf. 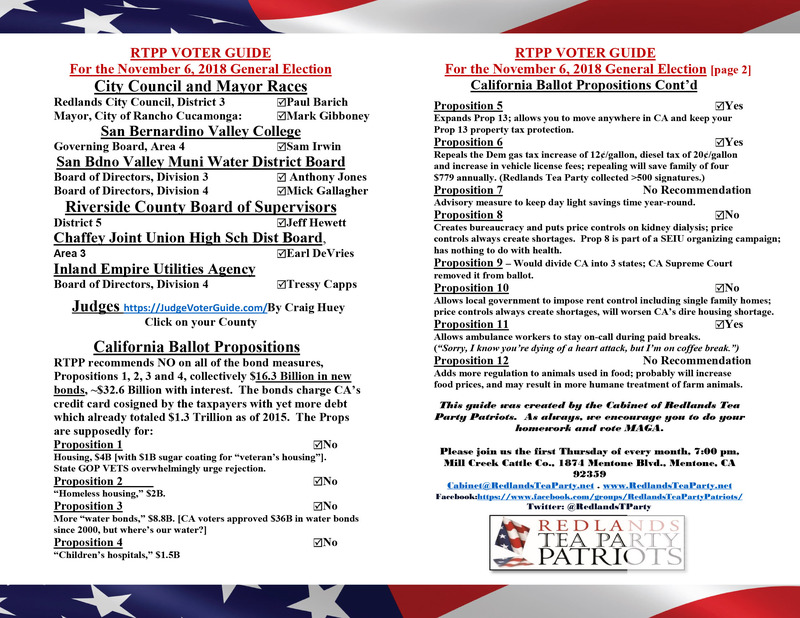 "Redlands Tea Party Patriots' Voter Guide", 5 out of 5 based on 1 ratings. Thank you. Our voter guide includes reference to Craig Huey’s Judge Voter Guide. Ah, I missed that. Good to see we’re on the same page there!